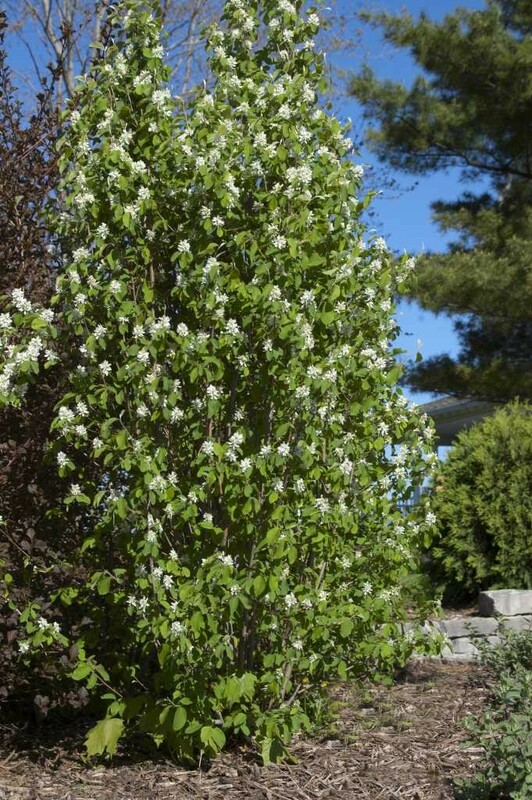 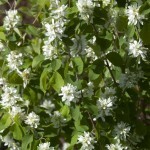 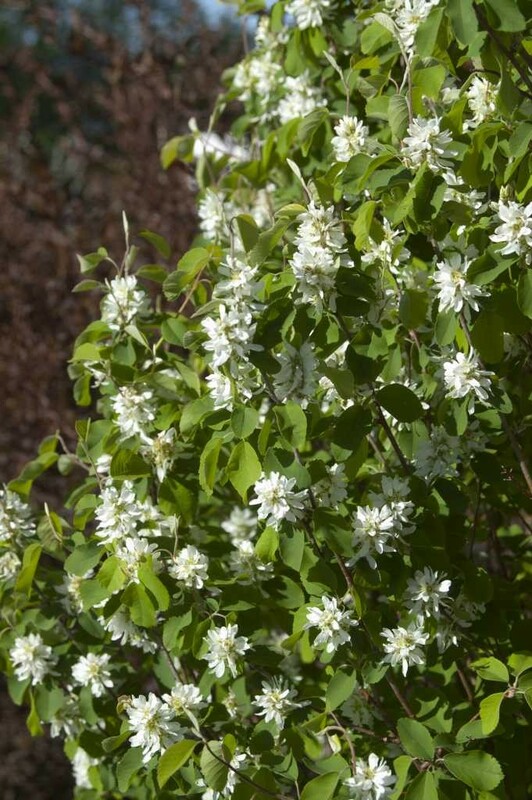 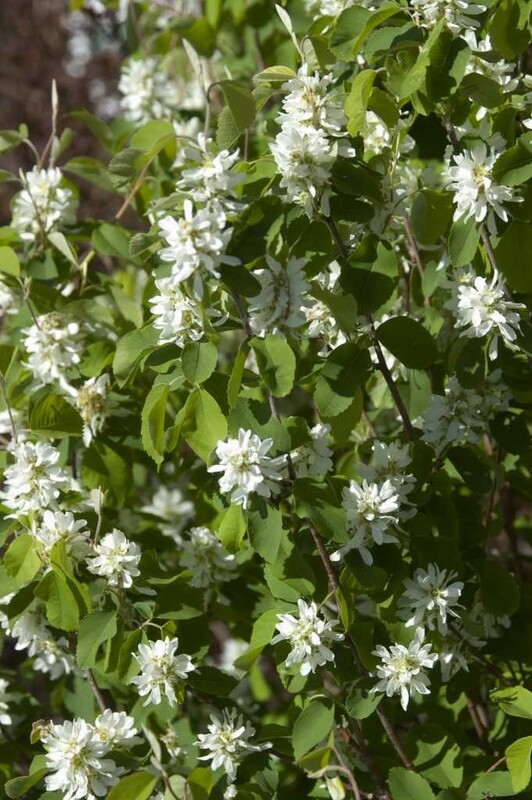 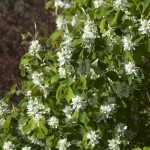 Standing Ovation™ is covered in white flowers each spring, which sometimes turn into edible berries in June. 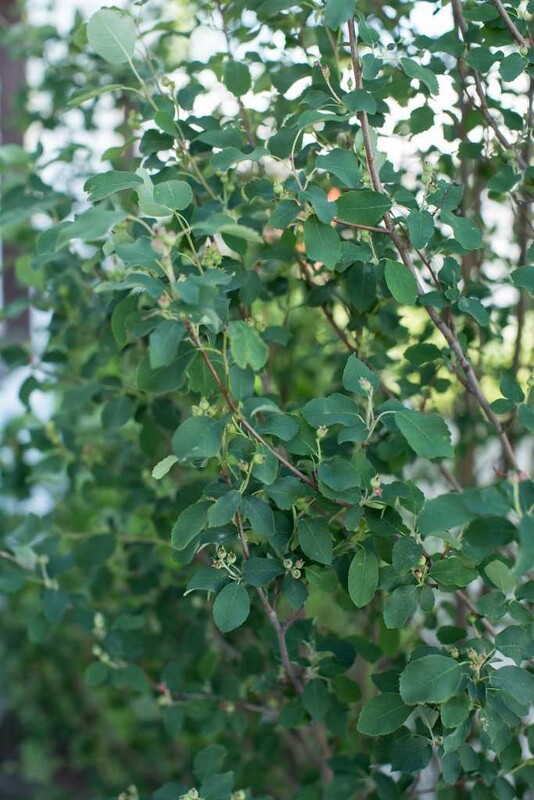 As the seasons continue, dark green, almost circular leaves change to red and orange in autumn. 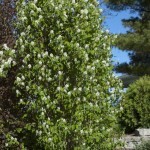 Its upright, perfectly oval form adds height in small gardens and provides nice structure during winter. 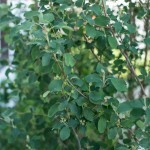 The uniform habit makes it great for hedging.